The problem cannot be underestimated, in a Vatican frantically astounded by a Pope like Francis. When John Paul II celebrated private Masses in the chapel of the Apostolic Palace, his homilies were not for public domain. They afforded him a rare moment of autonomy within the wider context of his papal office, full of engagements and responsibilities. Conversely, summaries of Pope Francis’ homilies are published every day in the Osservatore Romano, the Vatican daily newspaper. The Osservatore also decides on the headline accompanying the Pontiff’s words, thus providing a key for their interpretation. Official transcripts of the homilies are not available, in keeping with the way the Holy See manages unofficial speeches. However, it is always the Pope speaking. His words have a particular impact that cannot be underestimated. Not even by the Pope himself. Using information leaked to the press, or appearing on media interviews, to pressure the Pope is an old trick. The Papal appointment of a sort of «advisory board» of eight cardinals should have brought speculations under control. However, given that the cardinals do not have a precise mandate and that there is a very poor understanding about their actual duties, many inside and outside the Curia have not hesitated to discuss, infer, and suggest what the future should look like. Many of these inferences have been highlighted in the media, from a possible streamlining of Vatican dicasteries to the establishment of a super-ministry of economy to centralize control over all aspects of Vatican finances. In some cases, these were aspects of reforms already taking place but not previously revealed. In other cases, the rumors were clearly part of a campaign to exert undue influence on the Pope. This campaign resorted to misleading headlines. 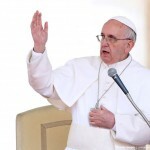 Pope Francis has often stated that the Church is not an NGO, and that, if the Church loses sight of Christ, it loses its primary reason for being. Benedict XVI said almost the same things. These were observations meant to underline that priests, bishops and everyone else contributing to the operations of the Church must be seen as people serving and at the service of the Church, and not as pieces of a structure providing them with a career path. These are words that, if taken out of context, lead to mischaracterizations. For example, some newspapers headlines maintained that the Pope had said that the Church is not an organization. But that is not what the Pope meant. The Church needs an organization to carry forward her mission. Her offices, her diplomatic activity, her finances, are all tools at the service of a mission spearheaded by the Pope, the vicar of Christ. The Pope has a public role and an institution to protect. He must ponder every word he says. At the very beginning of his pontificate, Benedict XVI made free flowing and very straightforward speeches, as if he were still the Prefect of the Congregation for the Doctrine of the Faith or professor Ratzinger, the theologian. He later learned to weight every word of his speeches and homilies, anticipating how they might be later interpreted. Only after he decided to renounce to the Petrine Ministry, Ratzinger resumed his free flowing style. The speech he delivered at the meeting with the Roman clergy, on February 14, is a memorable example of this. Pope Francis will learn to sense of the full impact of his position. Meanwhile, diplomatic misunderstandings may occur. For example, some sentences of a Pope’s off-the-cuff homily making reference to the Jews brought about a poignant reaction from the Chief Rabbi of Rome, Di Segni. No matter how casual they may seem when delivered, the Pope’s words always have a considerable impact. What will the Curia do if the current state of affairs is prolonged? Sometimes, Vatican officials confide they feel like the Holy See is still in sede vacante. They feel there are no guidelines, no preferences on guiding principles for the Church’s governance, and that they keep on working in automatic mode. New appointments are actually those that belong to the pre-Francis era and are only going into effect now because of long-winded procedures. 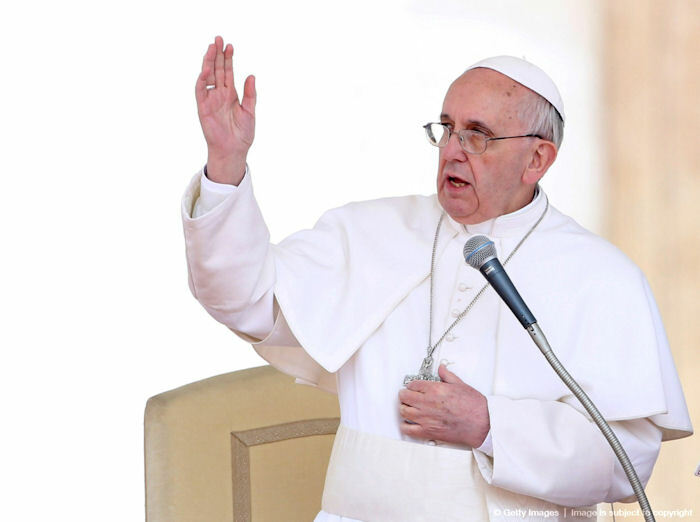 2 Responses to Pope Francis: will he be a reformer? C’è stato un piccolo problema tecnico, quasi tutti i link non funzionavano. Ora sono tutti attivi. Grazie della segnalazione! A.